For this card, I had Hipster Kody coloured on my desk for about a week, before he ended up on a card. I coloured him using a mix of copic and spectrum noir markers, and fussy cut him out. I used papers from My Minds Eye and doodled around the edges of all of them. I then layered them up, and added a die cut circle, stamped with a sentiment from My Favourite Things. I attached Kody using dimensional adhesives and doodled on the lettering, and Kody's eyes. Don't forget to pop over to the Some Odd Girl Community, and play along with their Anything Goes challenge! 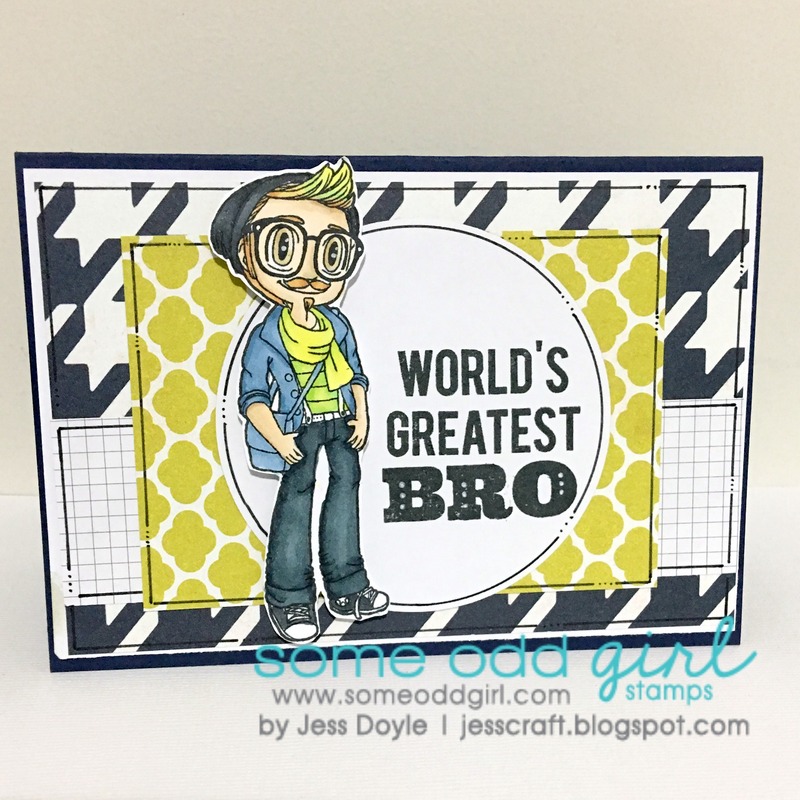 I love the colors, perfect for a "bro". Great design and patterned papers you used. I am SO SMILING at this card. It is Great. 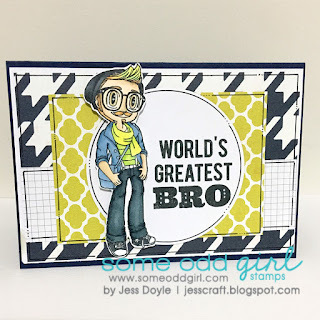 Super fun card an perfect for a guy! Thanks for playing the Color Throwdown Challenge this week! Hope to see you again next time! Fabulous card Jess! I love the contrasting patterns and the image is so cute.